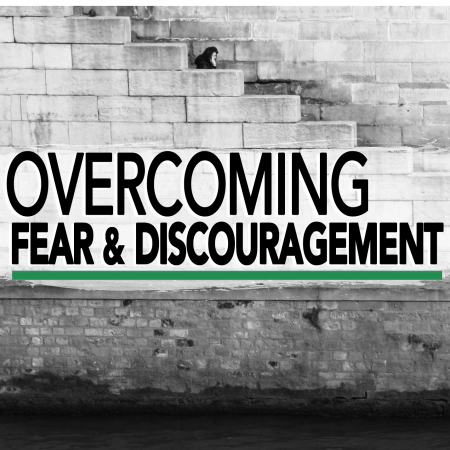 To overcome Discouragement one must admit that it exists and that one is a victim .You can not tackle what you don’t believe exists. Inoder to overcome Discouragement one must have courage,Courage is the determinant factor in human. lt is the ability or bravery to do something other can not do. lt is also the ability to confront fear,pain,uncertainty and intimidation. “Fear thou not;for l am with thee: be not dismayed; for l am thy God:l will strengthen thee;yea,l will uphold thee with the right hand of my righteousness”Isaiah 41:10. Discouragement is synonymous to greatness,achievements and success in life. In this context we are looking into Discouragement with God which stems from disappointments from God not responding to our request accordingly and at the expected time . Disappointment from God is usually the cause of discouragement for Pastor or a Shepherd who prayed over an issue and it did not manifestation that prayer is answered. Such anointed man of God begin to wonder why the Heaven was shut since the manifestation of His Glory still remains His Glory. Spiritual discourage has plunge many men of God into self help by seeking after lesser god and worldly power to fulfil their aims. In Ezra 4:4 The people of the land discouraged the people of judah,and frightened them from building. The Bible recoded that the work of rebuilding the temple in Jerusalem stopped for 16years. But Haggai 1:4-9 recorded that the people attention shifted to building their personal homes and neglected the building of God. And each time their rationale is queried they will replied that they tried but it did not work out. The abandoned project of the Temple was resuscitate regardless of fresh opposition but they were not deterred. And the project was completed with over four years. Therefore,overcoming discouragement is to open a new chapter with God. Especially dwelling in the word. The ability to wait on the Lord shall be our portion in Jesus name.